Some higher education media have, in turn, used the predictions to lampoon the idea that disruptive innovation has a role to play in creating more affordable, accessible, and convenient higher education options for people who would otherwise have no educational option. But the truth of the matter is that disruptive innovation is only part of why Christensen originally made his prediction. The prediction arose out of an observation that the business model of traditional colleges and universities was broken. Many colleges and universities are increasingly unable to bring in enough revenue to cover their costs. Indeed, the average tuition discount rate was a whopping 49.9% for first-time, full-time freshmen in 2017–18, according to the National Association of College and University Business Officers. That means that students are paying roughly only half of what colleges and universities say they charge. A tuition discount rate above 35% puts a college in a danger zone, particularly when it is heavily dependent on tuition. Many institutions have discount rates far above that now. What makes this even worse is that the natural pressure in higher education is for costs to increase—thanks to the lack of economies of scale and the complexity of higher education operations. According to Moody’s, at least 25% of private colleges are now running deficits. At public colleges, even in a good economy, expenses have outpaced revenue the past three years. And Moody’s examines only the stronger players in higher education—the 500 or so that issue debt through the public markets. On top of that, demographics are beginning to work against traditional colleges and universities. The pool of 18-year-olds is starting to decline—with precipitous declines in certain regions forecast to begin in 2026. That’s a recipe for disaster for two reasons. First, in the competition to attract students, colleges and universities will continue their arms race. For many, that will mean implementing copycat sustaining innovations—more faculty, more extravagant facilities, more administrative positions—that add cost. But this will further strain their business model because they are already struggling to bring in enough revenue from a mixture of tuition, government funding, endowment returns, and donations. For those institutions that are largely dependent on tuition for revenue and have small endowments, they will be in big trouble. Second, for those that can’t keep up and those that experience enrollment declines, their large fixed costs—thanks to tenured faculty, debt payments associated with financing their many buildings, and associated building-maintenance costs—place them in peril without an easy ability to adjust. Against this turbulent backdrop ripe for colleges to fail, Christensen observed that the emergence of the first disruptive innovation in education since the printing press —online learning—could wreak even more havoc as students enroll in online learning experiences. The impact would likely happen slowly. Many disruptive innovations take a generation for their full effect to be realized. It’s likely higher education would be particularly slow because of the loyalty of alumni and the dual conservatism of employers that hire from colleges and parents who often help foot the tuition bill. Despite those caveats, there is plenty of evidence that the disruption is taking hold. Even as enrollments in accredited colleges and universities have shrunk consistently since 2010, enrollment in online learning continues to rise. Nearly 20% of students are now enrolled in a mostly online program. And many students enroll in unaccredited online programs, as well as last-mile blended-learning bootcamp programs, which are not counted in these statistics. To that I emphasize one more piece of nuance. Ultimately we are really predicting a failure rate, made up of a combination of closures, mergers or acquisitions, and bankruptcies in which a college or university has the opportunity to restructure itself. Not all universities that “fail” will disappear. So let’s dive deeper into the prediction. The first question is how many colleges and universities are there? The answer reads like an annoying MBA student’s answer: it depends. There are many ways to slice the denominator of the total number of colleges and universities in the country. Do you count the roughly 7,000 Title IV eligible institutions? The 4,600 degree-granting accredited colleges and universities? Or perhaps a subset—the roughly 2,300 four-year, not-for-profit private and public colleges? Ultimately you can take your pick. The failure rate is growing in all segments. There has been a big retrenchment in the for-profit landscape. Many for-profit, accredited colleges and universities are closing. According to Education Dive, more than 100 for-profit and career colleges closed between 2016-17 and 2017-18 alone. In just the last week, there has been more news of closures (see here and here for another 100-plus campuses closing). Expect more for-profits to close in the years ahead, as well as more mergers. Not only that, but the rate of college closures is also accelerating in every segment. Given the noted financial, demographic, and disruptive headwinds, however, and that Moody’s only covers a select number of institutions, there are reasons to think that that number may be conservative, especially once 2026 hits and there is a demographic cliff in many regions. Many institutions are already seeing titanic enrollment drops. Already, according to Education Dive, 20 private, nonprofit colleges closed from 2016–17 to 2017–18 alone. And public universities will not be immune, as 20 closed in the same time period. The University of Georgia system has been consolidating campuses for several years now. The University of Wisconsin System is consolidating 13 two-year colleges into seven four-year colleges. Other consolidations are occurring in Alabama, and there have been consolidation conversations in Connecticut, Louisiana, and Pennsylvania. According to Education Dive, of the 40 mergers that took place between 2010 and 2017, just under half involved at least one public college. And 36 public colleges have closed or consolidated since 2016. Indeed, the total number of mergers and acquisitions from just 2010–2017 has doubled the activity that occurred in the prior decade, which further suggests that the Moody’s projections may be conservative. Ultimately, the biggest vulnerability in higher education is likely in the vast number of small institutions, particularly those located in rural areas in the Northeast and Midwest where the biggest declines of students are slated to occur. The biggest vulnerability in higher ed is likely in the vast number of small institutions, particularly those located in rural areas in the Northeast and Midwest. Forty percent of colleges and universities have fewer than 1,000 students. According to a 2016 report by Parthenon-EY titled “Strength in numbers,” 77% of colleges and universities—or 738 institutions—with fewer than 1,000 students exhibited at least three risk factors, such as a high discount rate, being dependent on tuition for more than 85% of revenue, or having an endowment that covers less than a third of expenses, that placed its survival in question. If all 738 somehow failed, then the 25% failure prediction that Christensen and I made would be surpassed—by nearly 200 institutions. According to Jeff Selingo, since 2010, these institutions have shed the most students—a decline of 5%—compared to colleges and universities with more than 10,000 students, which have grown slightly, on average. As Selingo points out, there is little to no margin for error in these colleges. Losing just a few students wreaks havoc on the budget and, over time, has significant repercussions. Indeed, 19 liberal arts colleges have closed or consolidated since 2016. What’s more, Selingo points out that the Northeast and Midwest—where steeper declines in the numbers of students await—have a greater number of colleges than other parts of the country. All to say that it’s not that hard to paint a picture of how 25% of existing institutions—be it 550 non-profit and public four-year institutions or 1,100 degree-granting institutions—close, merge, or declare bankruptcy in the years ahead. Yes, the 200 most selective schools in the country are likely to be unaffected by these failures. Many institutions will find ways to innovate in the years ahead—although some of that innovation will likely be through clever mergers. 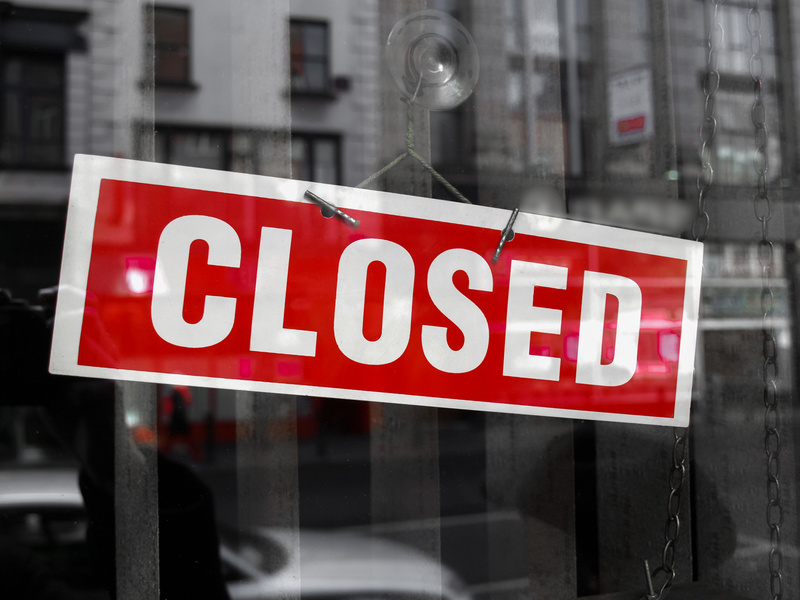 Many will close individual programs (such as full-time MBA programs and law schools) and campus locations, while the institution remains open. Many colleges will likely even grow at the expense of those that fail. And yes, there will be some disruptors that grow significantly. And, we ultimately hope, many students will attend institutions better positioned to help them graduate and be successful.